I’m happy to admit it: I’m a foodie. Not only is my wife an amazing cook, but one of my sons is a classically trained chef—and thanks to him, I have had the pleasure of dining all over the world, including at many Michelin-star restaurants. Usually, when I go out to eat, I simply relax and enjoy the meal. Every now and then, though, I can’t help but relate the experience I’m having to the work I do at SencorpWhite. That’s what happened last month when I found myself having dinner in a hotel restaurant in Mendrisio, Switzerland. It was a slow Monday night in a relatively out-of-the-way location, so to be perfectly honest, I wasn’t expecting much. 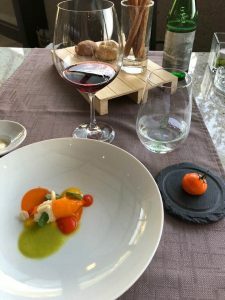 But this unassuming restaurant, surrounded by the hills and mountains of the Swiss countryside, surprised me… and left me eager to apply what I learned when I got back to the office. on a routine Monday night in the middle of August. What were my takeaways from this dinner? Excellence can be found anywhere. You may believe your product or service is the best in the world, but remember, the world is a big place. Skills are essential. If you want to be the best, you simply can’t “fake it.” Skills are paramount when producing a world-class product, and you need to know your team is up to the task. Yes, training programs cost time and money, but the investment is worth it. Creativity sets you apart. While skills are fundamental, it’s creativity that differentiates you from your competition. Keep innovating—it helps you better meet your customers’ needs, grab more market share and even attract the best talent. Passion and teamwork pull it all together. Speaking of talent, you must have a team that cares. If you want to be not only the best but the best of the best, your team must pay attention to every detail. Nothing should be overlooked. The smallest slipup can turn what should be an exceptional experience (or product) into something that’s only average. From manufacturing and packaging to food service and hospitality, a commitment to excellence is key. As CEO, my job is to inspire that kind of passion, to the benefit of our customers and our company as a whole.